Since 1994, Pac N’ Wrap has been a reliable, full service company, customizing products to adapt and match our clients’ needs. To procure safe and efficient transport of products to our customers, we implement a system of precautions to avoid otherwise inevitable mishaps. As a valued client, you can depend on us to ensure smooth business operations, bring forth ideas that are critical to your success, and to continue to stand with you as your needs evolve. 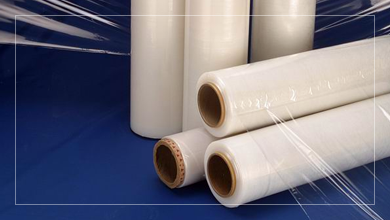 From hard edged boxes, sealing tapes, stretch films and industrial bags to strapping and many other accessories, we will recommend the perfect material for your product specifications. At Pac N’ Wrap, our focus is on delivering paramount services and we partner with each client to ensure complete customer satisfaction. Pac N’ Wrap is a company that takes pride in our product and our team. Our packing materials are functional, cost effective and designed to fit your needs. Our friendly staff is professional, trained and knowledgeable in all aspects of materials management. We seek to solve your problems before they arise. When you bring us your concerns, we will translate them into workable solutions utilizing savvy techniques. With Pac N’ Wrap, your project is in solid hands.